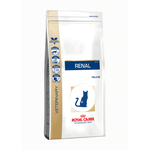 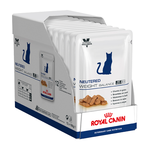 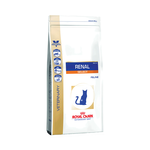 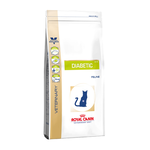 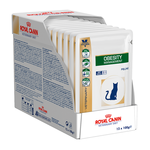 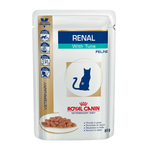 Buy Royal Canin Veterinary Diets online at Pet Circle and enjoy the convenience of delivery of this essential food product to your door, always at the best price. 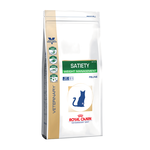 Cats can fall victim to a number of concerning ailments - but thankfully, many of them can be addressed and managed with a vet-approved dry or wet cat food from Royal Canin. 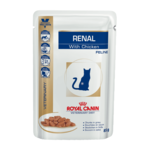 Each diet contains purposeful ingredients backed by decades of scientific research at Royal Canin's testing centre in France, with a focus on relieving a range of issues such as renal issues, skin support, weight control, food sensitivity and more. Feline Urinary S/O is one of our (and Royal Canin's) best-selling vet diets, with over 50 five-star reviews and plenty of happy kitties to attest to its effectiveness! 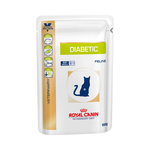 This diet acidifies and dilutes urine and creates an unfavourable environment for calcium stones to keep your cat comfy and happy when using their litter tray. Royal Canin Veterinarian Diets must be fed exactly as prescribed by your vet, and we strongly urge that you visit your vet at least every six months to monitor your pet's health and condition, and modify their diet if required.